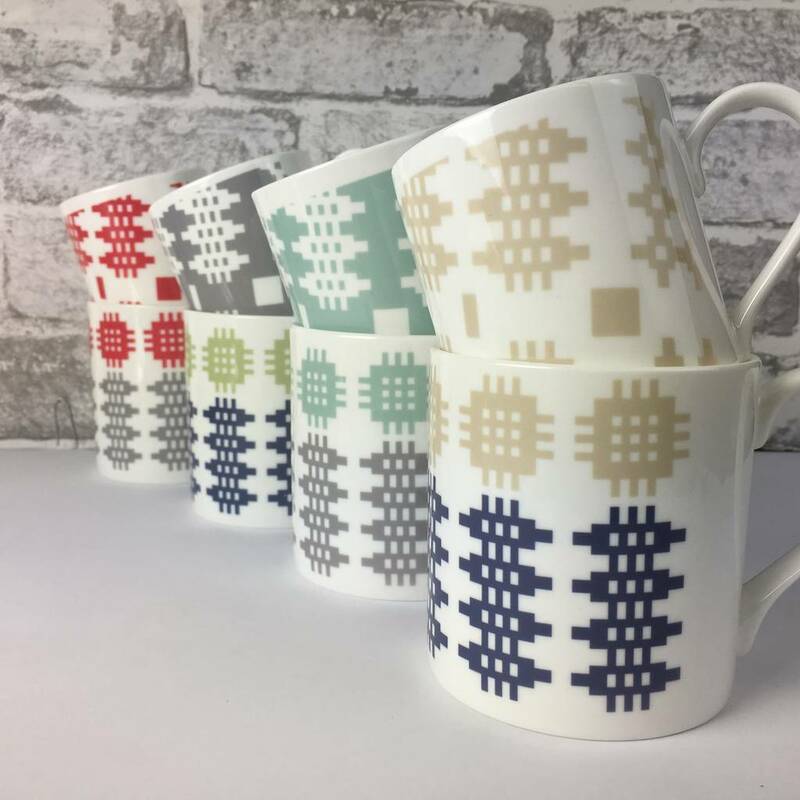 White china mug printed with the traditional Caernarfon Welsh blanket pattern in a variety of contemporary colours. 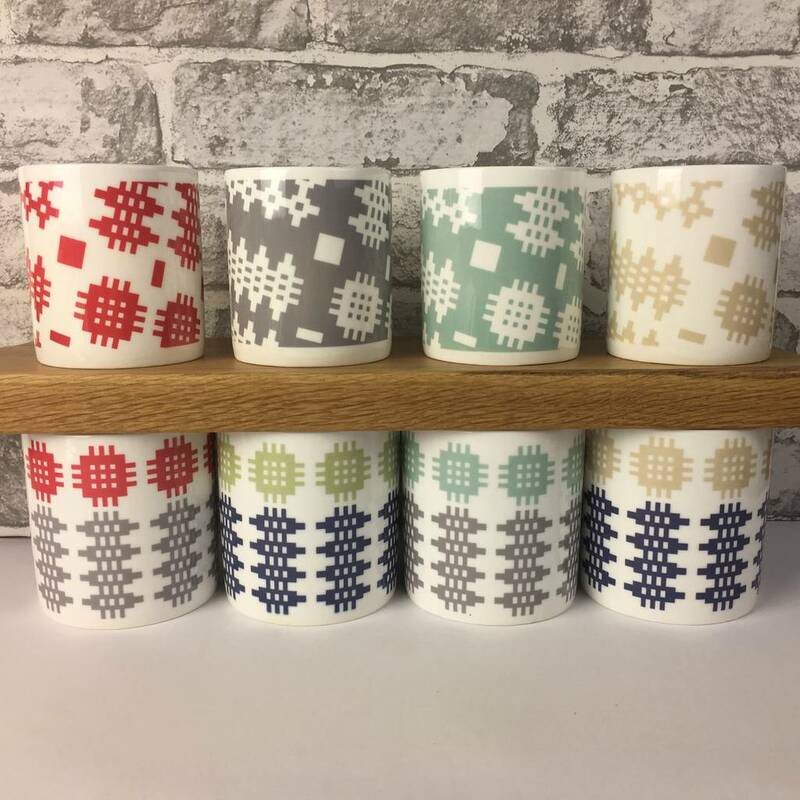 Designed to match our exclusive oilcloth tablecloths. 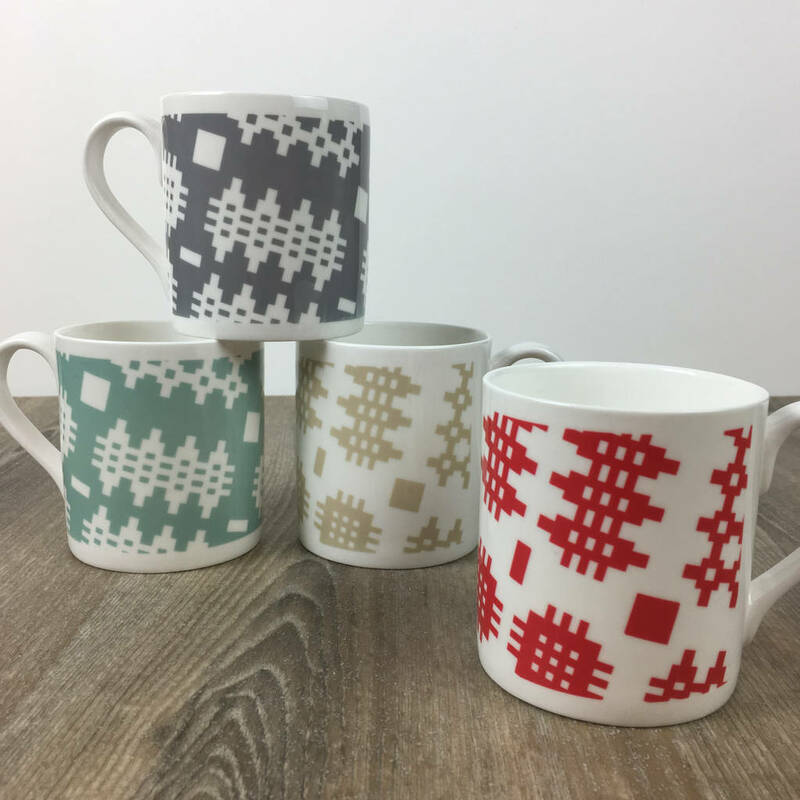 Available in two sizes in red, duck egg, cream and grey colourways. 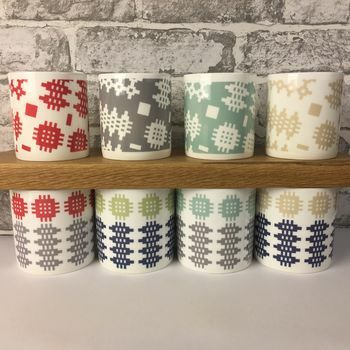 The small mug is the perfect size for coffee, whilst the large one is perfect for a big cup of tea! 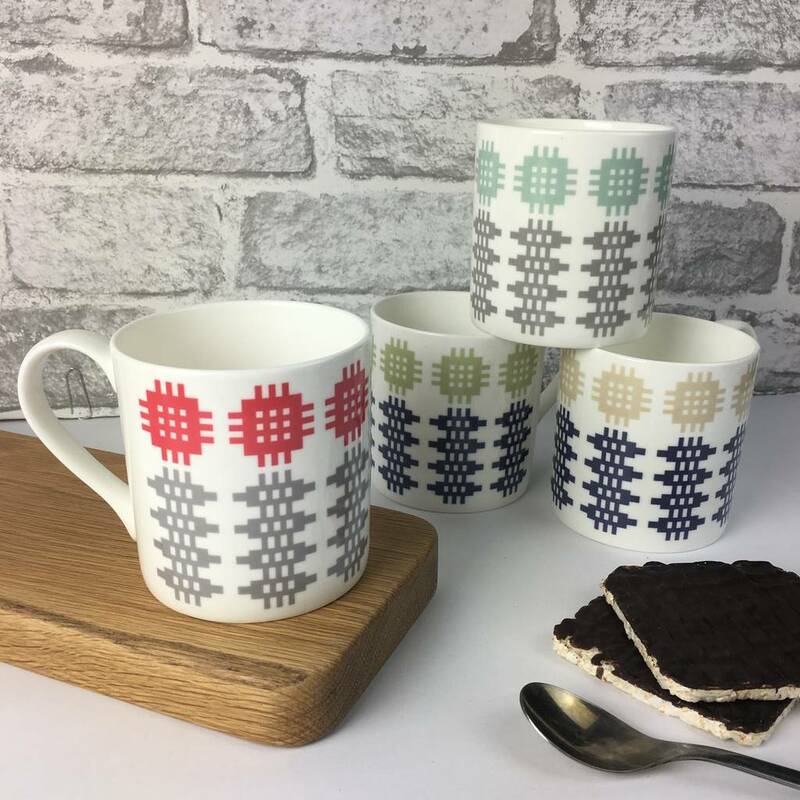 Fine bone china printed in Wales exclusively for Adra.